Russel Greene | Washington, D.C. The Potomac river is not the biggest river, its not the cleanest river. Millions of people live within minutes of the Potomac. Potomac is a source of water for metropolitan Washington DC. What people might not know is it has a long history. It was a major factor in the Civil War. Another landmarks that sits on the Potomac river the Watergate hotel. Other landmarks include Mount Vernon and the Pentagon. This River is very diverse . 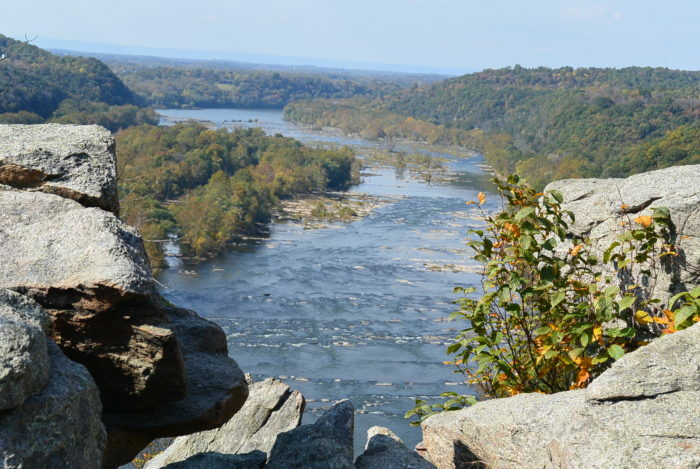 The Potomac has flat water, has small rapids and of course the wild rapids of Great Falls. The Potomac, when it hits Washington DC is actually tidal and runs into the Chesapeake Bay. The Potomac offers a lot of recreation options. The Potomac is home to lots of canoe clubs, college crew teams, and stand up paddlers. Up the river many Olympians and others enjoy challenging rapids. The Potomac also offers flat water areas that attract fisherman. I personally enjoy all the different zones. Its amazing that you can be so close to a city and have such solitude. Maybe I should be happy its hidden in full sight.